This site is about the Holroyd family hotplate bakehouse located at 6 Barkerhouse Road, Nelson, Lancashire, UK which made oatcakes, crumpets, pikelets and muffins between 1909 and 1984. The family business was started by Thomas Holroyd in 1909 who was joined by his son Alan at the end of World War II. After Tom retired in 1966 Alan worked there, assisted by his wife Nora and occasionally by his children Tony and Susan. The bakehouse closed when Alan retired in 1984. The picture on this page was taken in the late 1960s. The information included in this site is largely from the family albums and scrapbooks and I am afraid that the the attribution of many of the photographs and cuttings have been lost. 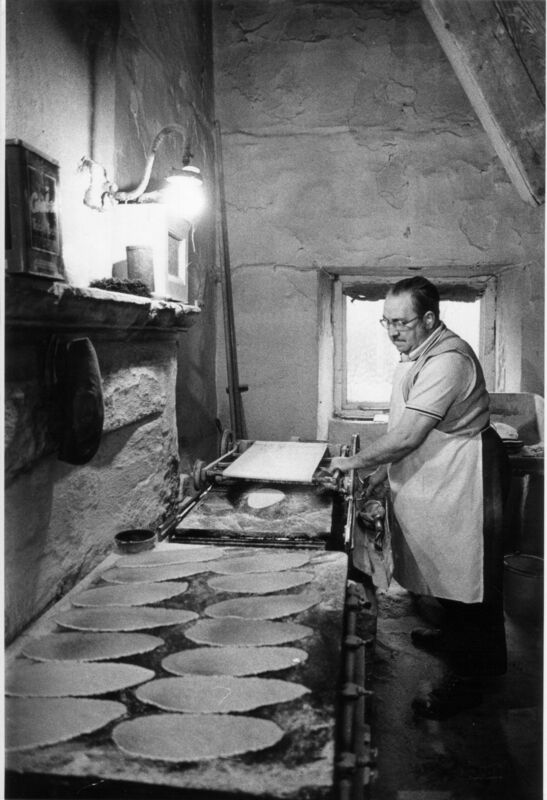 If you can cast any light on picture sources or know of any newspaper articles or personal recollections about any of the Pennine Oatcake Bakers I would like to hear from you.